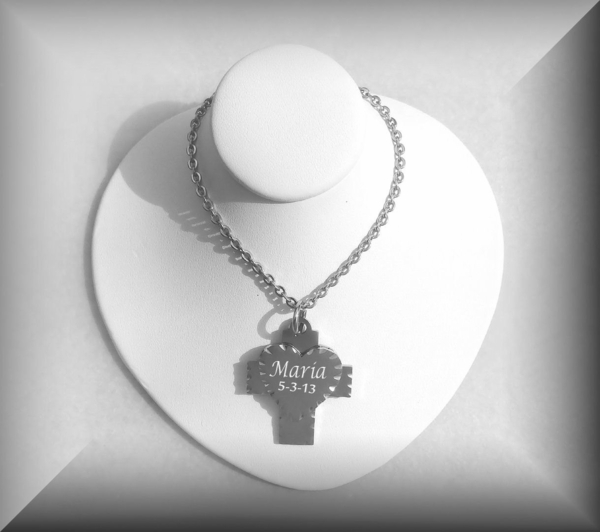 A true reflection of our religious beliefs, this stainless steel cross pendant could be remembering some one special. Bright polished finish on the cross and a brushed-satin finish cross on top of the cross. Personalize the pendant with a name, up to 10 characters in an elegant font, to be engraved on the back of the cross.